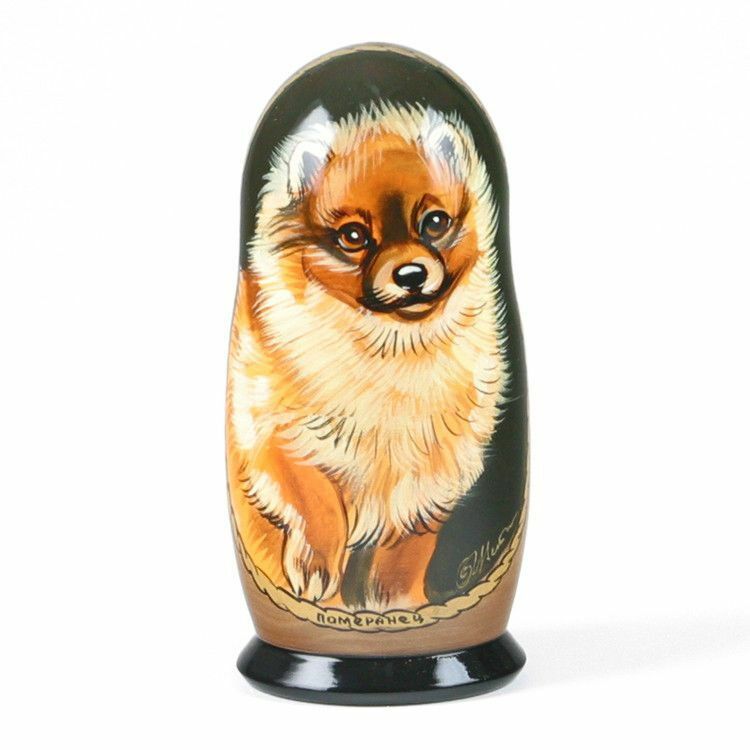 This Pomeranian dog Nesting Dolll is hand-crafted from birch wood, and hand-painted by a Russian artist. 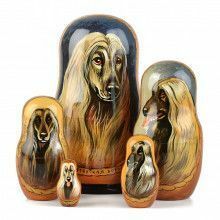 Signed by Tsvetkova, O. 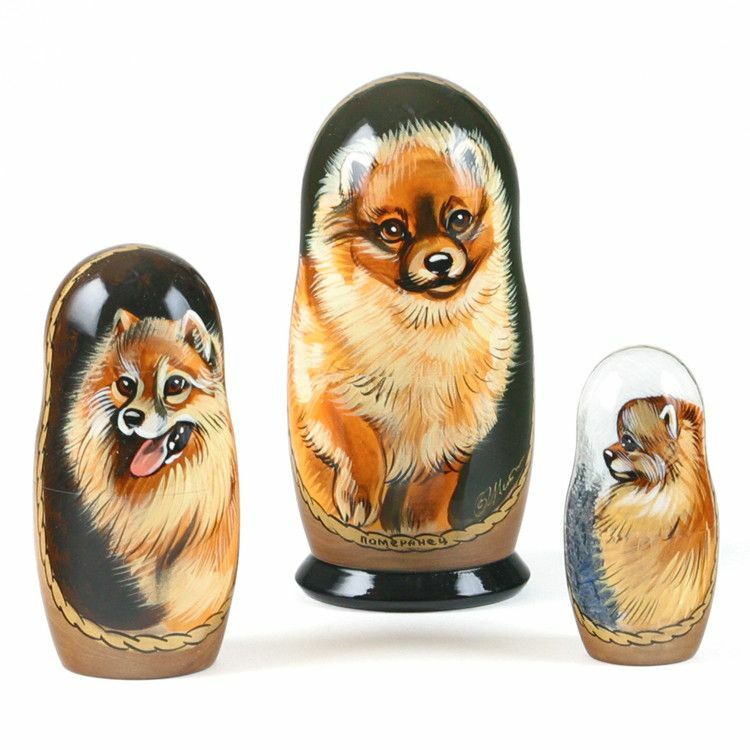 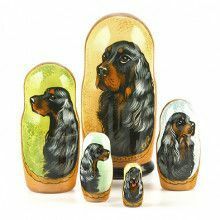 Open it up to reveal a set of smaller dolls each with pictures of different Pomeranians. 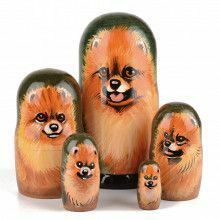 Makes a great gift or home decoration, especially for those who own or love Pom-Poms! 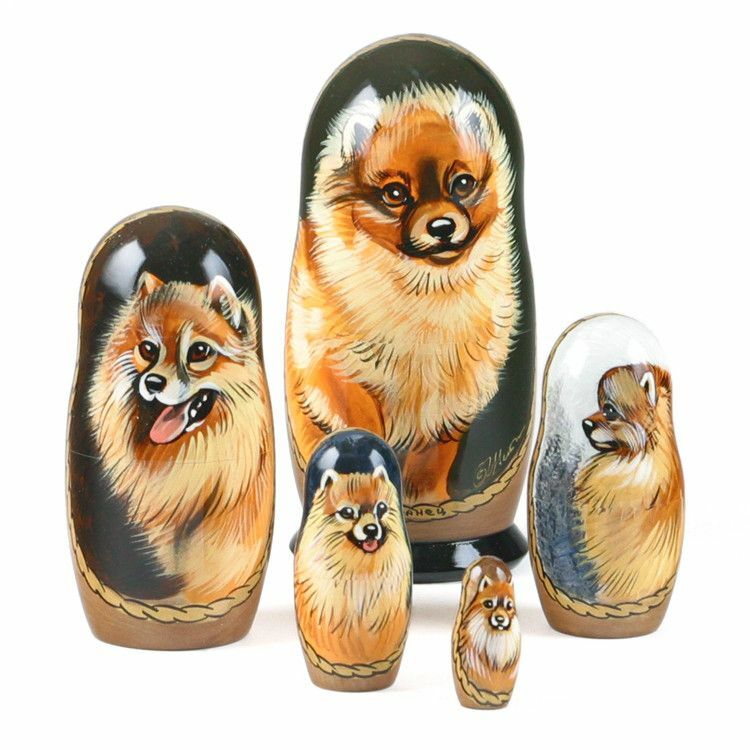 Perfect Pomeranian dog theme gift!